Posted in Events, News on March 13, 2016 by charlie. Posted in Events, News on December 13, 2015 by charlie. Please join St. Adalbert Basilica for their annual special Mass of Remembrance on Saturday, Novemeber 7th at 5:30pm. 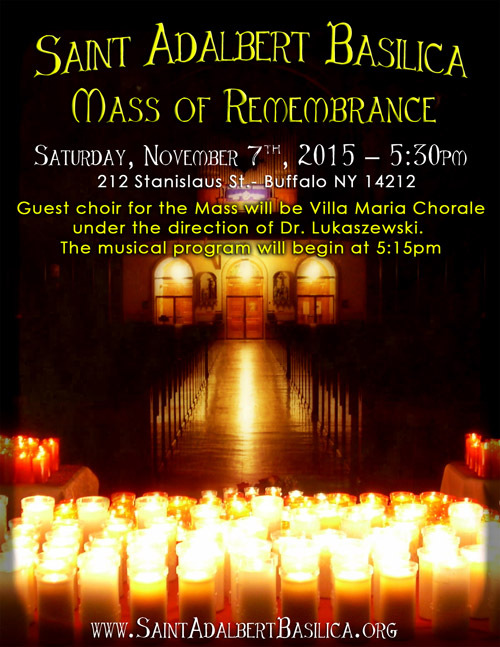 Guest choir for the Mass will be Villa Maria Chorale, under the direction of Dr. Lukaszewski. The musical program will begin at 5:15pm. Those who would like to submit names to be remembered during the Mass are asked to complete and return the slip linked below. The names will be read and a candle will be lit in their memory (those who would like to bring forward the candle themselves during the Mass will have the opportunity to do so). Posted in Events, News. Tags: Mass of Remembrance, Saint Adalbert Basilica on October 6, 2015 by admin. Please join us for Christmas Eve Mass! Posted in Events, News. 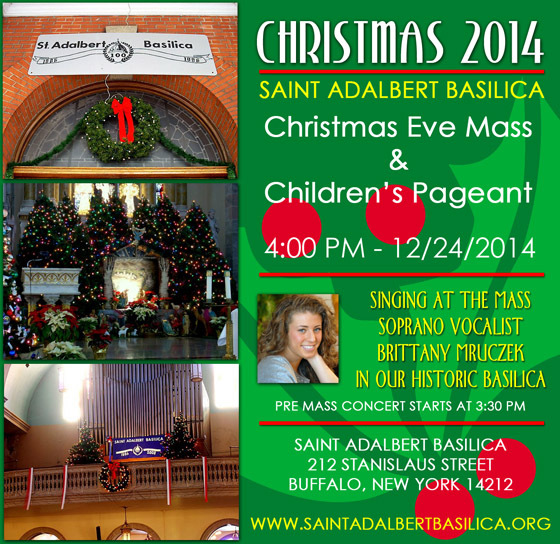 Tags: Christmas, Saint Adalbert Basilica on December 22, 2014 by admin.